The C.T. 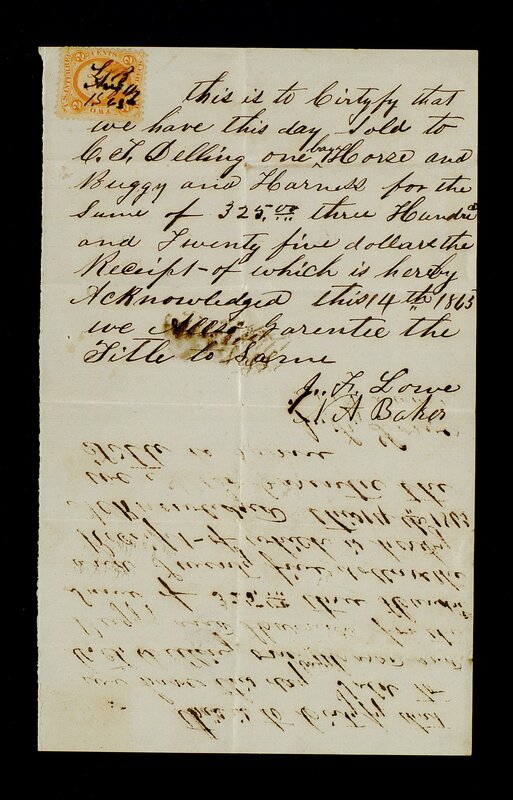 Delling slave deeds (dated 1863 June-December; 0.01 cubic feet; 2 items) contains two slave deeds and one receipt of a transaction for a horse and buggy all dated in 1863. 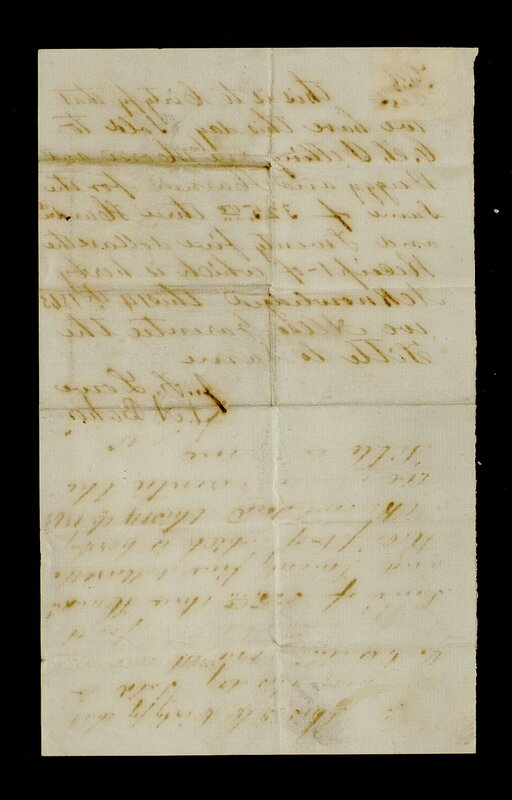 2013ms0242: [identification of item], C. T. Delling slave deeds, 1863, University of Kentucky Special Collections. Cristian T. (C.T.) Delling was born circa 1824 in Germany, immigrating to the United States in the 1850s from Saxony. By 1856, he resided in Cynthiana, Ky. and he owned a clothier business selling hats, wool coats, and pants at his store on Main Street. Delling married Louise A. Orsmby in 1861. Louise was originally from New York but moved to Cynthiana in the 1850s. Before the marriage, Louise was a principal and teacher at the Harrison Female Seminary. They had one daughter, Francis, in 1866. C.T. Delling died in 1889 and was buried in the Old Graveyard on Main Street in Cynthiana, Ky.
McAdams, Harry Kennet. Original Lot Owners, Old Graveyard on Main S Cynthiana, KY. Kentucky Pioneer and Court Records. Heritage Books, Berwyn Heights, MD. 1929. The C.T. Delling slave deeds (dated 1863 June-December; 0.01 cubic feet; 2 items) comprise two slave deeds and one receipt for a horse and buggy all dated from 1863. The slave deeds are written on the same piece of paper. 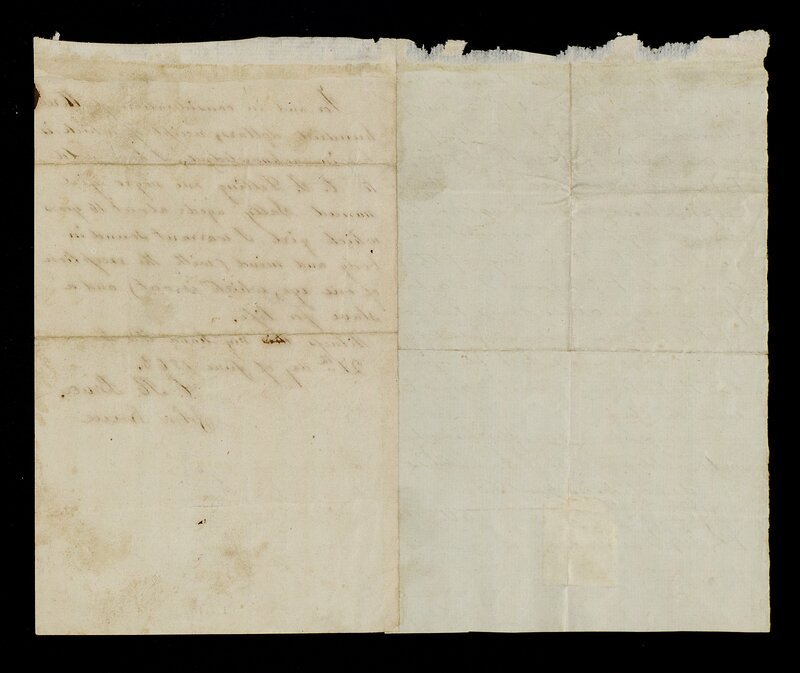 The first deed is from C. Hall of Harrison County, Kentucky, selling a female slave named Rebecca, age 39, for four hundred and fifty dollars. 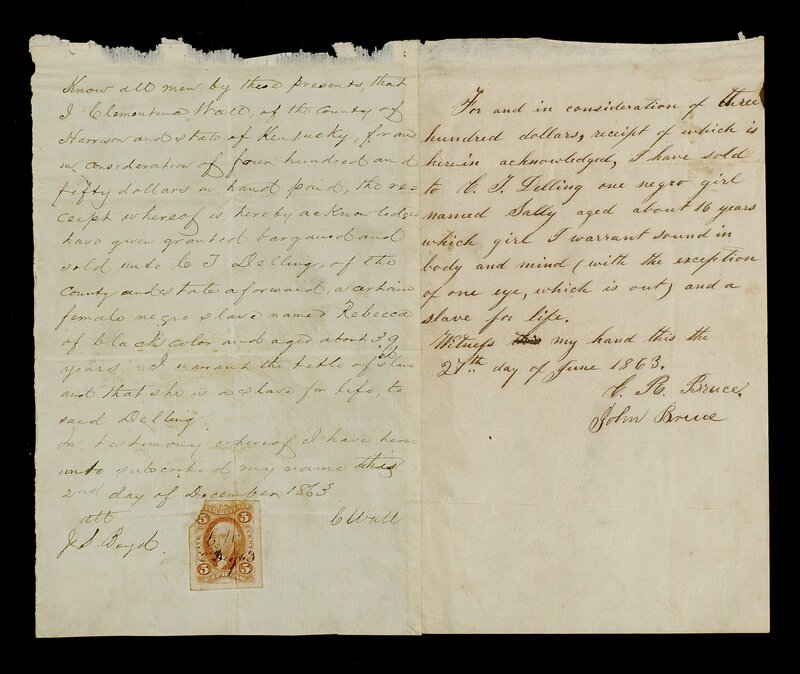 The second deed is from John Bruce selling a young girl named Sally, age 16, for three hundred dollars to C.T. Delling. The horse and buggy along with a harness receipt was from J.F. Lowe and sold to C.T. Delling for three hundred and twenty-five dollars.